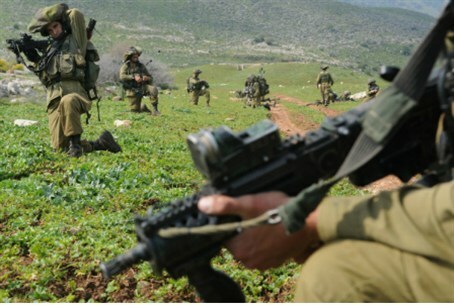 IDF soldier mistakenly enters the village Nur a-Shams east of Tulkarm. He is handed back safe and sound. An IDF soldier mistakenly entered the Palestinian Authority (PA) village of Nur a-Shams, east of Tulkarm, Sunday afternoon. He was escorted out of the village, unharmed, by PA security men in coordination with the IDF's Civil Administration, and was then taken for interrogation by the Military Police. Israelis are forbidden from entering areas under PA control, and IDF soldiers are on heightened alert due to intelligence information that terrorists are currently very highly motivated to abduct soldiers. In early February, an Armored Corps soldier was mistakenly left behind in hostile territory near Ramallah during operational activity. A senior officer was fired from his position over the February snafu. The soldier was left behind in the village of Budrus near Ramallah, and two local residents helped him find his way to the security barrier, where an IDF force was waiting for him. The local Arabs feared that if they did not spirit him off to safety, he could be attacked by a lynch mob.